For some families, a front porch tops the list of “must-haves” when searching for a home. Home-shoppers may envision lazy summer days sipping lemonade on an old-fashioned swing, or talking with neighbors while watching hummingbirds drink from a feeder. Your home inspector will see the porch from a much different perspective. Before signing on the dotted line, make sure you have a home inspector examine all aspects of the porch, pointing out defects, elements that may fail soon, and safety concerns that warrant immediate attention. Columns and Posts: A home inspector will visually assess and make recommendations on the condition of the structures supporting the roof and floor. This includes reporting on signs of rotting wood, settling, concrete deterioration, loose or missing bricks/stones, and other situations which may compromise the porch’s integrity. Remember that the ability to gain access underneath a porch allows for a more extensive visual assessment, but this isn’t always possible. Railings: Loose handrails, bottom rails, and balusters can be dangerous. Your home inspector will evaluate whether these items are secure. The column which supports the railing will also be checked by the home inspector. When railings are not present, your home inspector will note if they are required under building code regulations. Further, the inspector will determine if spacing between balusters meets safety guidelines. Stairs: The home inspector will examine the stairs for loose or missing boards, rotting wood, uneven concrete, or cracked mortar. Roof: Signs of sagging, separation from the house, rotting wood, missing tiles, and leaks will be reported by the home inspector. Floors: Pooling water due to poor drainage can damage porch flooring over time. Your home inspector will check for wood rot; loose, broken, and cracked boards which present safety hazards; sagging; and improper spanning of joists, which raises concerns about the floor’s ability to support loads. Home Inspector Maintenance Tip: Never install carpeting on open porches. Carpeting retains moisture that could lead to hidden wood rot. Porch inspections are just one important part of an A-Pro 500-point home inspection. To hire a certified local A-Pro home inspector, visit here or call 1 (980) 332-4100. 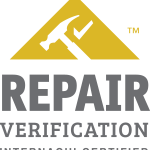 Tagged home inspection kannapolis, Home Inspectors in Kannapolis, home inspectors kannapolis, kannapolis home inspectors.